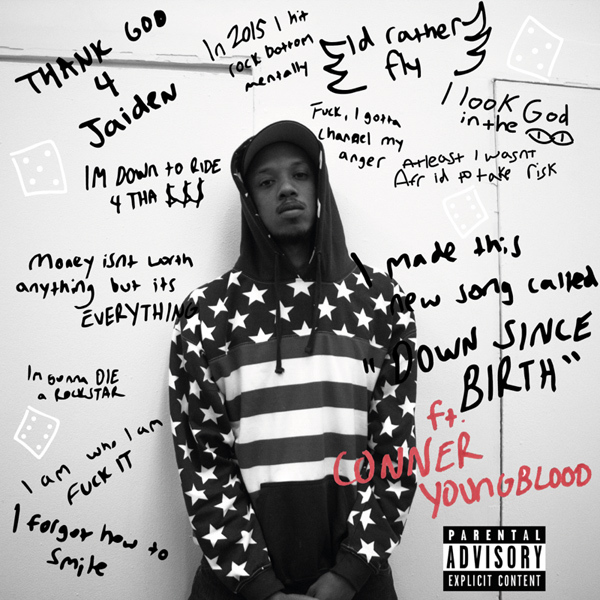 Wara From the NBHD ft. Conner Youngblood - "Down Since Birth"
Conner Youngblood is a multi-instrumentalist, producer, and singer-songwriter based in Nashville, and Wara From The NBHD is a high intensity New York-based rapper/producer. On a surface level, they don’t seem to have much in common musically, besides that they both performed at Pigeons & Planes’ No Ceilings showcase. Sometimes it’s the most unexpected collaborations that turn out best, though, and that’s the case with “Down Since Birth.” Wara and Conner linked up in an Atlanta studio for this one, and it brings their talents into a new context for a rock-tinged rap song full of surprises.